Rarely does it happen that everything falls into place right at the moment when a photographer clicks the shutter. But when it does, the photographer instantly knows it. Right then, time seems like it has been suspended – and the feeling is one of incredible joy at having preserved a memory of a fleeting moment that will never come to be again. A moment etched for ever by the simple click of a shutter. 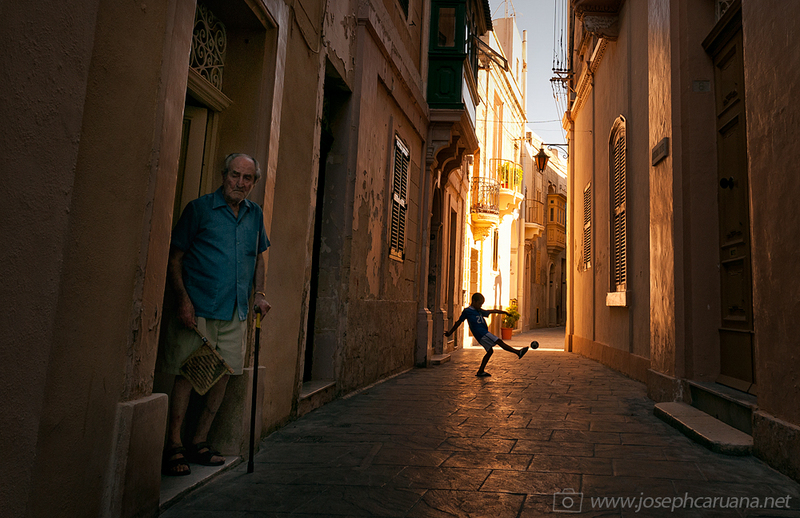 It happened to me a few hours ago, when, camera in hand, I was casually looking around to capture some typical village life in Malta. I hope you enjoy the resulting picture. Brilliant as usual. Nice timing and great light.